This weekend was a bit of a boozy one for me as I had my work Christmas party, and a surprise party to attend. Needless to say, the rest of the weekend was spent relaxing/recovering. But with all the time being a little hung over it’s the perfect time to play a few video games. I’d picked up Telltale’s Game of Thrones on release, but hadn’t actually started playing it yet. This weekend presented the perfect opportunity to get to it. Episode one, Iron from Ice, introduces you to House Forrester, a noble family from the north of Westeros, loyal to the Starks of Winterfell. They’re caught up in the events surrounding the War of the Five Kings, and are thrown into a maelstrom of bloody warfare, revenge, intrigue, and horror as they fight to survive while the seven kingdoms tear themselves apart. You take on the role of different members of the Forrester household, and determine their fate through the choices you make. In typical Game of Thrones style, the game is gritty, gory and full of twists right from the off. Don’t worry, I won’t mention any spoilers. Some familiar faces make an appearance. I managed to complete the episode in around 2 hours, which is a typical time frame for Telltale. I really enjoyed it too. 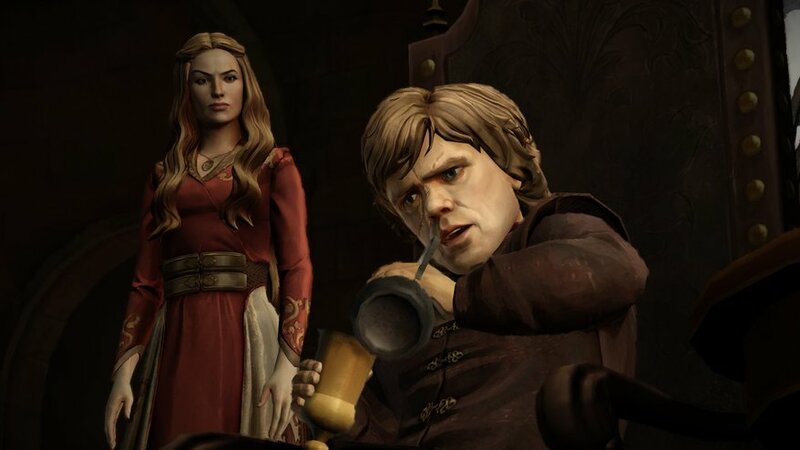 It was great being able to revisit Westeros, and great that they managed to have the characters from the TV series voice the in game characters. I also really loved the art style of the game. It’s almost like a watercolour painting at times. I’m sure there will be some who don’t really like it, but I know I did. I’m sure the fact that I’m such a big fan of the books and TV series helped me get in to it, and made me enjoy it a lot more. I do feel that if you aren’t familiar with the story beforehand you may struggle to understand what is going on, as it throws you right in the middle of it at the events of the Red Wedding. But overall it was really enjoyable, and I can’t wait for the next episode. But it has also made me feel pretty impatient about series five coming to TV. This weekend also saw the Steam Winter sales hit, I’ve been keeping my eye on them, but so far have only been persuaded to buy Prison Architect for £3.99. However, I’m sure more tempting deals will arise over the course of the sale. Other than that, I didn’t really get up to much else. Now it’s just a case of getting through these last two and a half days until Christmas and almost two weeks off for me. Similar to Will, my weekend was spent drinking, socializing and then chilling out. Friday night was my work Christmas party. I like to think I wasn’t that drunk at it, but my lift home would tell you otherwise. Not much more to say on Friday night, I went, I drank, I came home. Saturday I played a few rounds of LoadOut, and made further progress on Escape Plan on PS4. But that was the extent of the gaming for the day. I went out for a meal with my wife, then over to a friends house for a solitary beer. Then a large group of us went to the pub for festive drinks. Although I stayed on soft drinks. Finally Sunday was a very festive day. I spent the day watching Christmas films snuggled on the sofa with wifey and our 2 cats, eating cheese, crackers, mince pies and Quality street. In terms of a geeky weekend it was a bit of a bad one, but this time of year it’s all about family, friends and geeking when you can squeeze it in.